My name is Dan but you can call me Miss Chardy. And yes, to all my friends out there, people are still drinking Chardonnay! And this my friends is what I actually look like each day…. Born and raised in Mudgee, NSW, I attended June Dally-Watkins Business Finishing School and worked in Sydney for 2 years before deciding on a career change. I left Sydney and headed to my first Governess Job (teaching children who are home schooled), on a sheep station near Bourke. I stayed in Bourke for the year, and then a friend and I decided we needed to spread our wings and head to the Northern Territory. I originally came to the NT for just one year as a governess however fell in love with the boy next door and as the say – the rest is history, still here all these years later and absolutely loving life. We have 3 young boys who now do their schooling via Mt Isa School of the Air and have their own Governess. I have spent most days over the past 10 years singing along to ABC 4 Kids and can rock out with the best of them to Bookaboo, Dirt Girl or The Koala Brothers, although my 9 year old does occasionally tell me: “Mum that is not a good look”. The hide of him! But it isn’t all ABC Kids, I will admit that I am quite the TV junkie and love a good drama series or comedy…A Place to Call Home, along with Love Child & Downton Abbey and where would we be without good old Kath & Kim. Now let’s get one thing straight, I may live on a cattle station with a horse mad husband, who I am sure loves his horses more than me (ha ha ha ha – kidding….maybe…) but I am by no means a horsey outdoorsy type…. My husband likes to call me “The indoor cat”! I would love to tell you that I get out there on my horse (o, no, that’s right….I don’t have a horse…) and muster 3000 head of cattle with my 3 children all saddled up on their own little ponies. I would love to tell you that I am a patient, fun loving, easy going Mum who doesn’t mind a good old cook up with the kids and I would love to say that I am the world’s best gardener, but that would just be a big fat lie…. The truth is, I am not Super Mum and never will be, I kill most plants I try to grow, so have decided to stick to grass, and hate baking with my children, well actually, I hate baking full stop! I am, however, quite the expert in Lego construction. One thing I do love is catching up with my friends for a glass of wine and a good old laugh. People are my passion, I love connecting with people and sharing any helpful hints and tips. I love bringing people together and networking. This is quite difficult when you live 5 hours from town and 2 hours from your neighbour, but that doesn’t stop me. I am the Barkly Women’s Day co ordinator which brings together around 80 women, twice a year, for a day of fun, laughter, guest speakers and some lovely cold bubbly. Women travel long distances, 4, 5 or even 10 hours, from remote cattle stations to attend the day, catch up with old friends and make new ones. I am a down to earth, glass half full kind of girl (half full of Chardonnay….) I am sometimes a little too honest, but like to keep it real. Lets share hints and tips and inspire each other. I look forward to sharing my blogging journey with you. 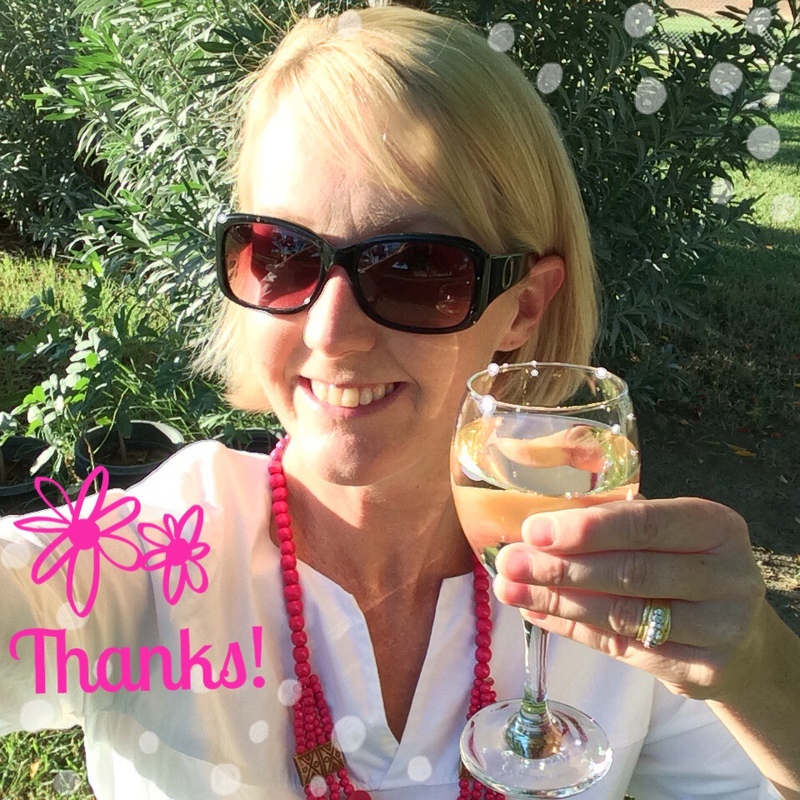 Thanks so much for joining the Chardy Mobile, so happy to have you on board!